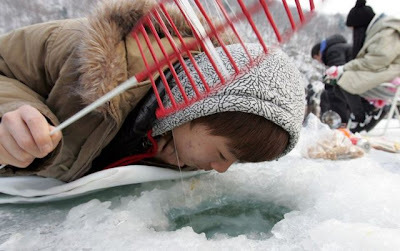 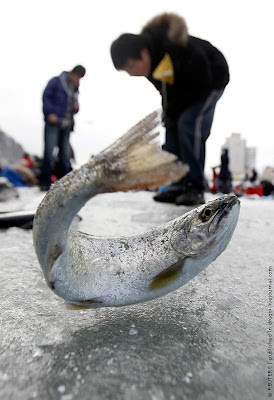 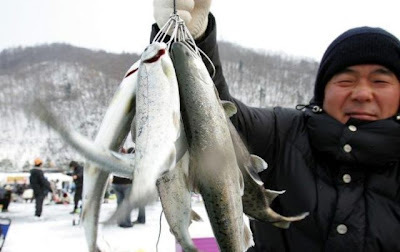 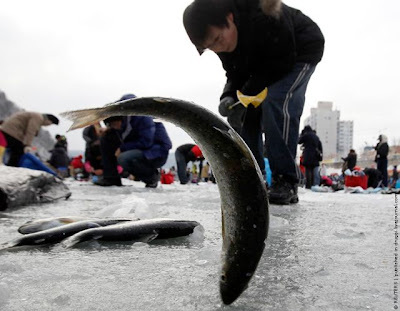 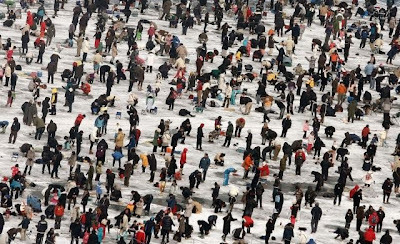 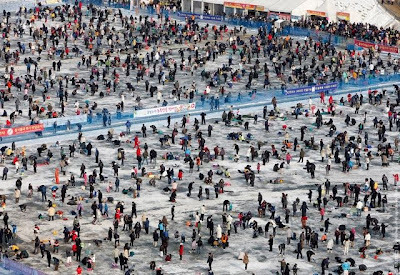 Thousands of anglers cast lines through holes on a frozen river at an event to fish trout in Hwacheon, northeast of Seoul, South Korea on January 11, 2009. 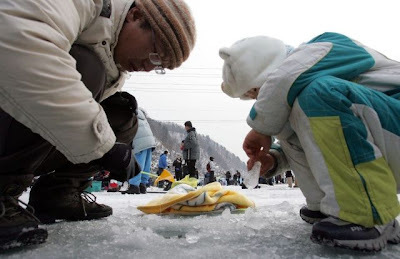 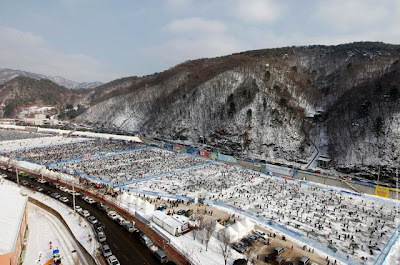 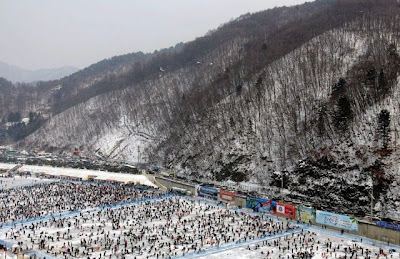 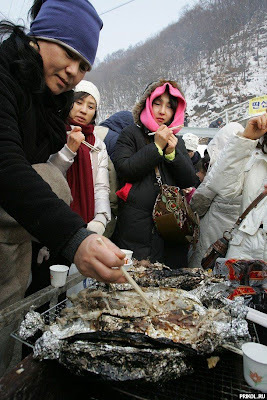 The Hwacheon Sancheoneo Ice Festival draws nearly a million visitors every year. 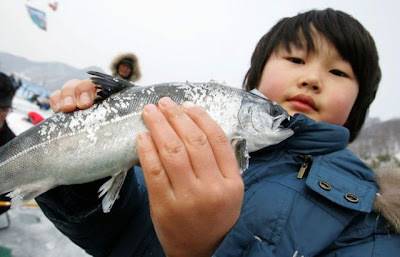 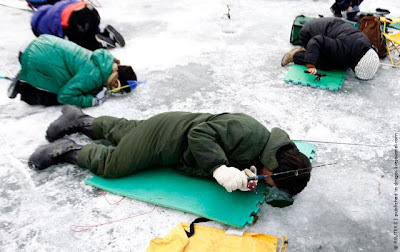 Ice fishing is the activity of catching fish with lines and fish hooks or spears through an opening in the ice on a frozen body of water. 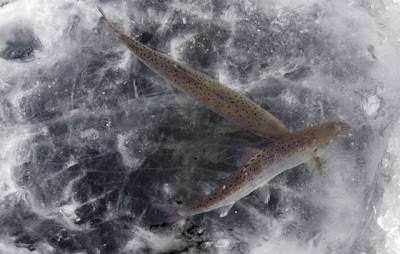 Ice anglers may sit on the stool in the open on a frozen lake, or in a heated cabin on the ice, some with bunks and amenities. 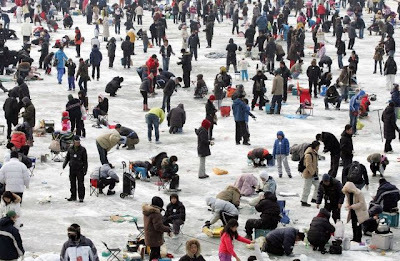 It is a popular pastime in Canada, Finland, Estonia, Latvia, Norway, Poland, Russia, Sweden, Ukraine and Germany.